Six sculptures surround the Canadian world police and fire rescue games. 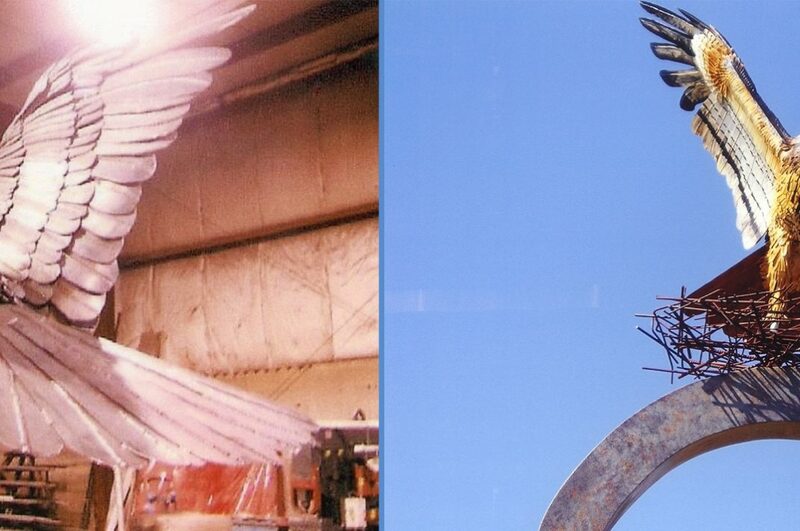 Each sculpture features an impressive 20 foot wingspan. There are future plans to adorn the wide wingspan with flowers. 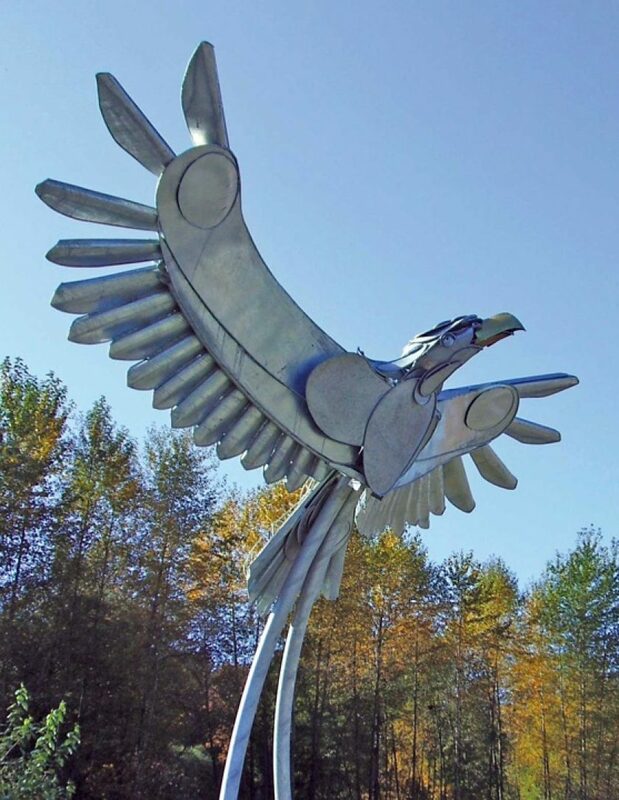 These guardian eagles are a great contribution to the Burnaby eco-sculpture program. The entirety of each five ton sculpture was hot-dip galvanized. The creator desired the bold and metallic finish of galvanizing. 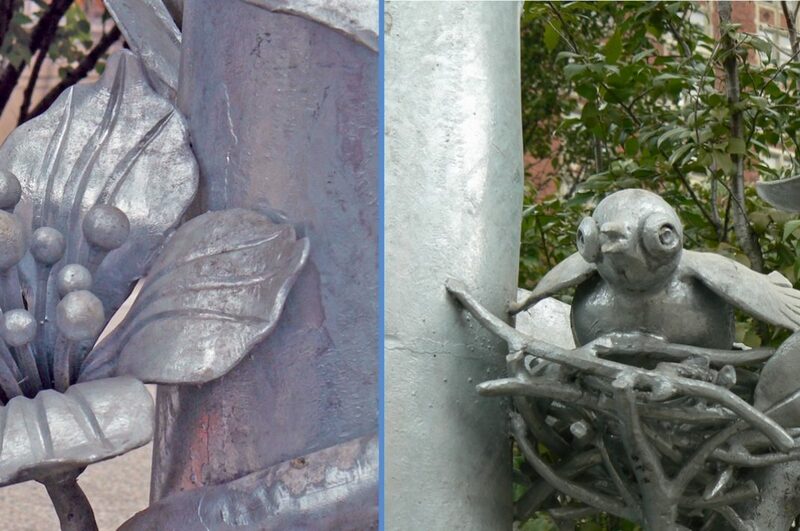 It was also very important these sculptures could withstand the winter weather of Burnaby. "The entirety of each five-ton sculpture was hot-dip galvanized." 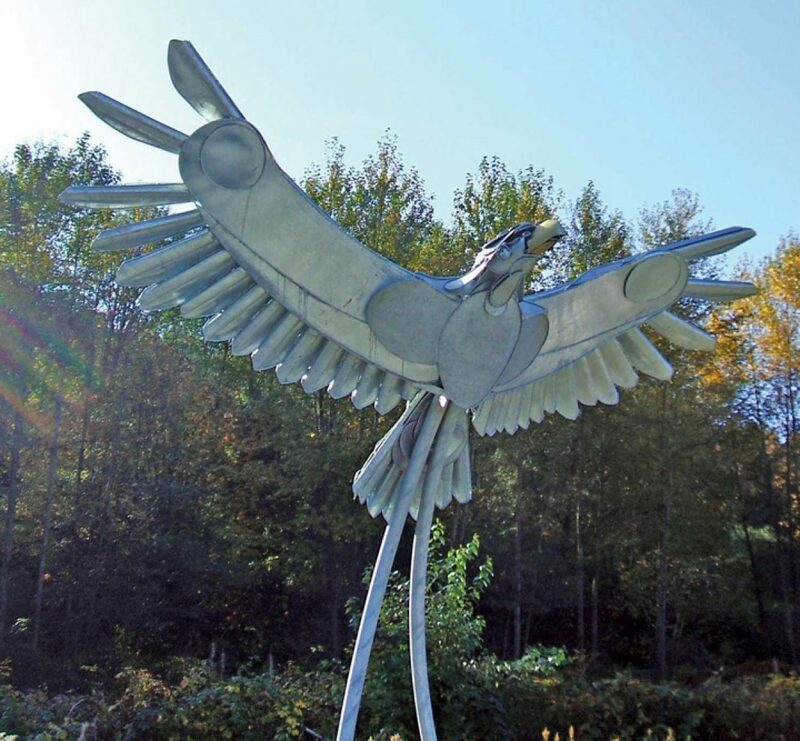 Hot-dip galvanizing ensures the Guardian Eagles will remain an uncompromised symbol of strength for the local police and fire department today and for generations to come.